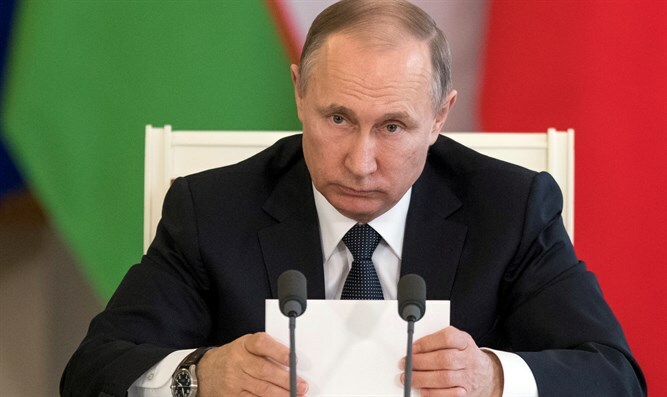 "We continue to consider that all countries need to refrain from any kind of actions that lead to an increase in tension in this already restive region and call for respect of the sovereignty of Syria," Kremlin spokesman Dmitry Peskov told reporters. Russia, which has deployed its forces to back up the Syrian regime, has a hotline set up to avoid clashes with Israeli jets in the skies over the war-torn country. Peskov did not confirm if Israel had warned Moscow of the strike, saying only that the two nations' "defense ministries are in constant dialogue". Russian foreign ministry spokeswoman Maria Zakharova later went further than the Kremlin and slammed the alleged Israeli strikes. "Gross violations of Syrian sovereignty -- no matter how they are justified -- are unacceptable," she said in a televised briefing. "Moscow condemns acts of aggression against Syria." In line with its usual practice, Israel's military declined to comment on the latest blast, which saw a huge explosion near Damascus. Israel is believed to have carried out multiple air strikes in Syria since the country's civil war erupted in 2011, targeting arms convoys or warehouses of its Lebanese arch-foe Hezbollah, which is a close ally of the Syrian regime. Israeli Intelligence Minister Yisrael Katz said it was consistent with his government's policy to prevent arms transfers to Hezbollah, but stopped short of confirming his country was behind any attack.